Just when you think you know it all…the client teaches you a new lesson! 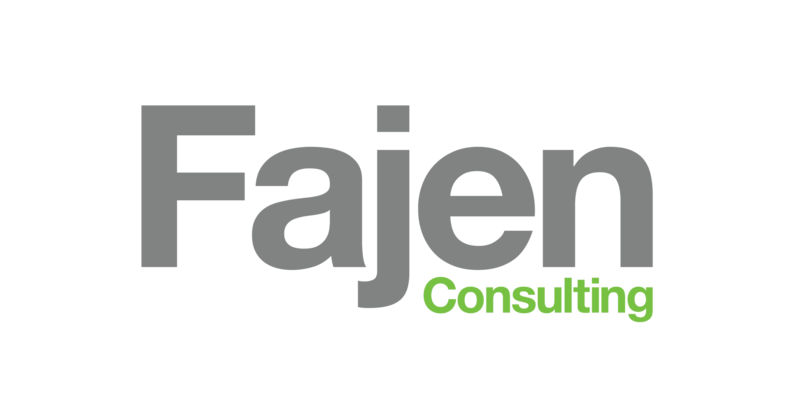 That was the case with a small business launch Fajen Consulting took on. The research, branding, content development, website development, and social media plates were all set to spin yet the seemingly simplest nugget turn out to deliver the biggest gut punch. As a marketing professional, the bid process is always a bit of a guessing game. We approach bids and deadlines with an, “it’s not complete until it’s right,” philosophy. That said, we provide standard pricing, of course, knowing we’ll invest more time in one area and less in others depending on the client and the project scope. Logo development is one of those areas. Branding is a subjective process when it comes to opinions on logos, color palettes, and mood boards. Our process always begins with discovery – research on the client’s competition, brand archetypes, audience research, personas, messaging hierarchies and of course getting creative with logo development. That comprehensive approach has worked for a long time. Until this client. Our mistake was quickly uncovered when we were creating our third round of logo revisions and were still not hitting the client’s buttons and then the direction suddenly changed. We’d neglected to define in our proposal and contract the number of revisions our estimate included. Needless to say, it left us extremely vulnerable to an indecisive client. The waffling and constant-changing target caused a painful two-month delay in the launch process. We learned that when the expectations of time investment and design options seem limitless, the client will take longer to come to a logo conclusion. Insist that your client share other logos they like. Learn what they find appealing about those logos. Perform a brand archetype exercise to determine their brand identity and give your creative teams a framework around which to craft the brand. Be clear about your philosophy on branding upfront. Do you research the customer to determine the direction of the logo? Be sure to back up your designs with proof that the target audience will be drawn to certain colors, designs. This helps you validate your design direction and recommendations. Ask them whose opinion they value. If it’s their wife, business partners or certain clients, get those people on board, too. Above all, state clearly in your proposal and contract the number of revisions you are willing to generate for the client before you begin billing hourly. Be very clear about that hourly rate. What are your tips to avoid a long, drawn-out logo design process?